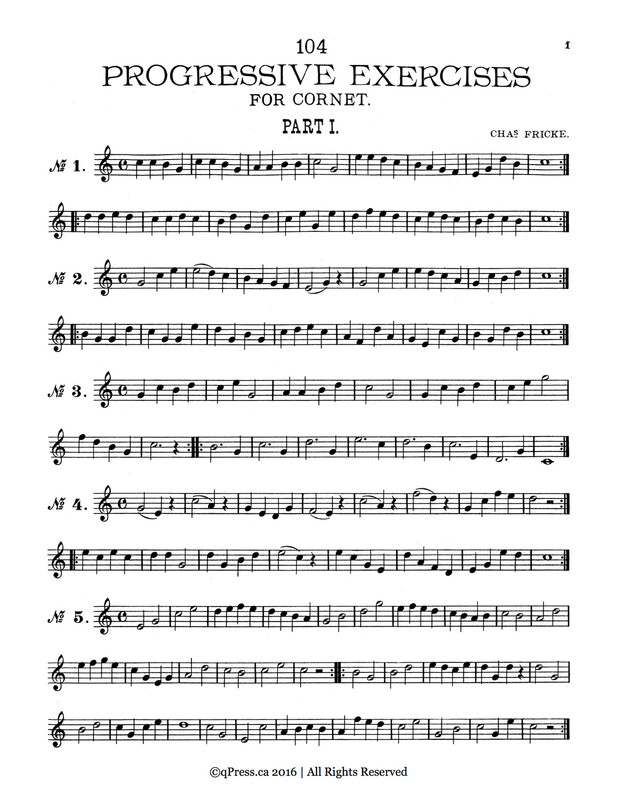 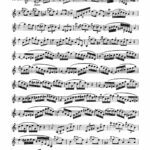 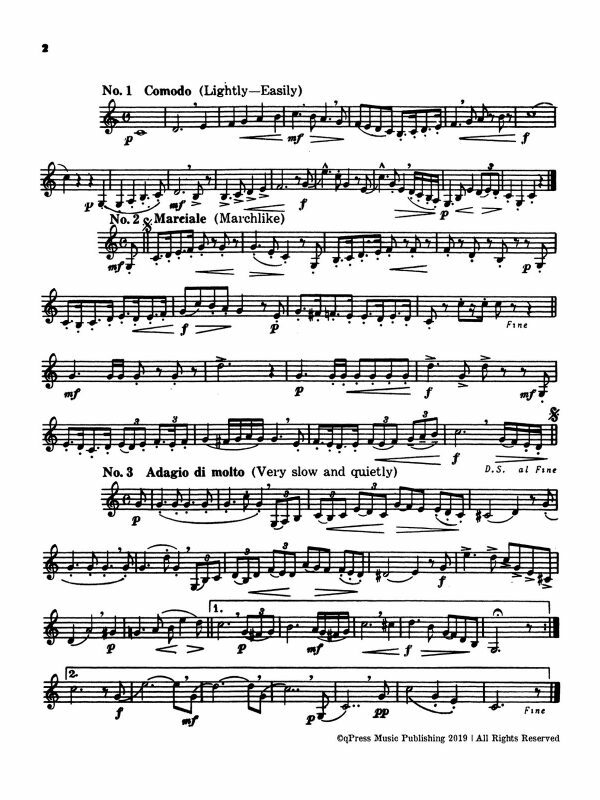 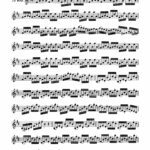 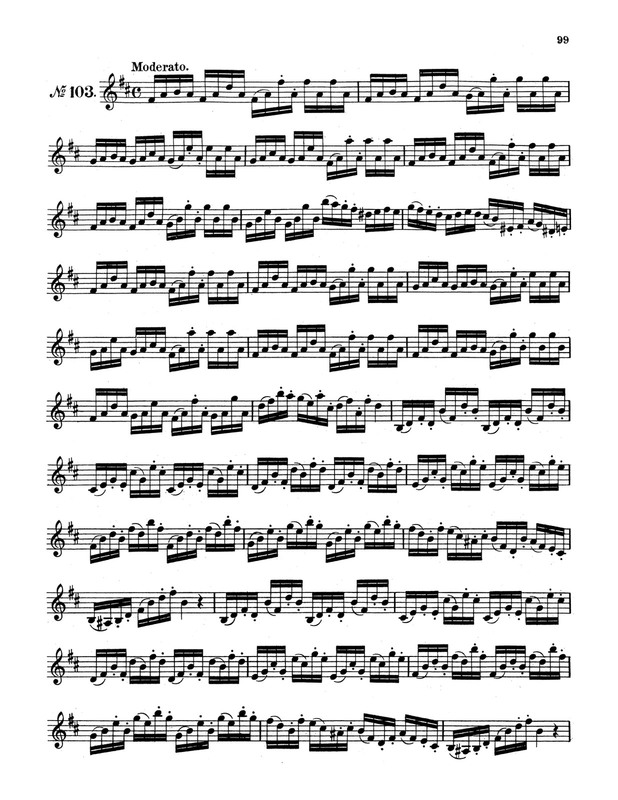 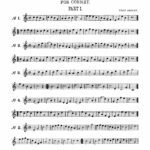 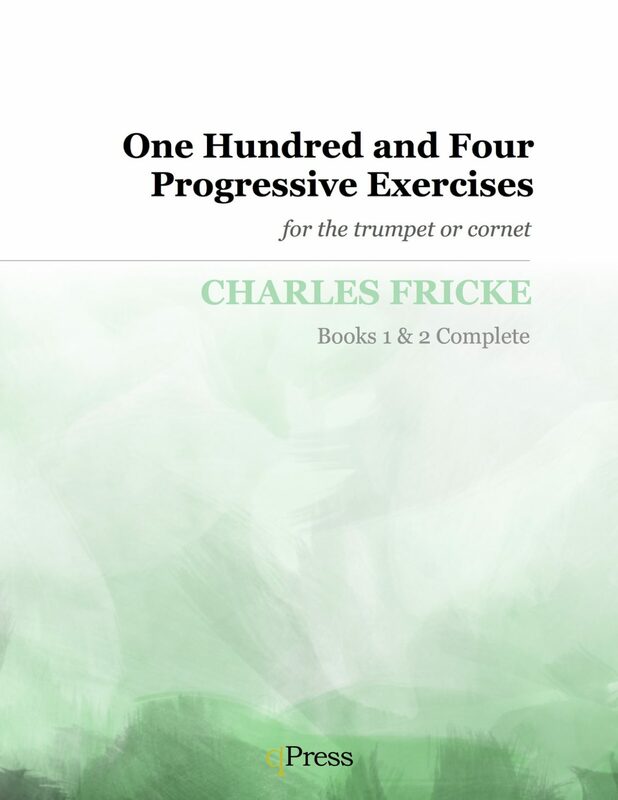 Charles “Chas” Fricke’s “104 Progressive Exercises for the Trumpet” is a gradually progressive series of etudes that begin with one octave quarter note and half note studies and work their way up to extremely virtuosic showpieces. 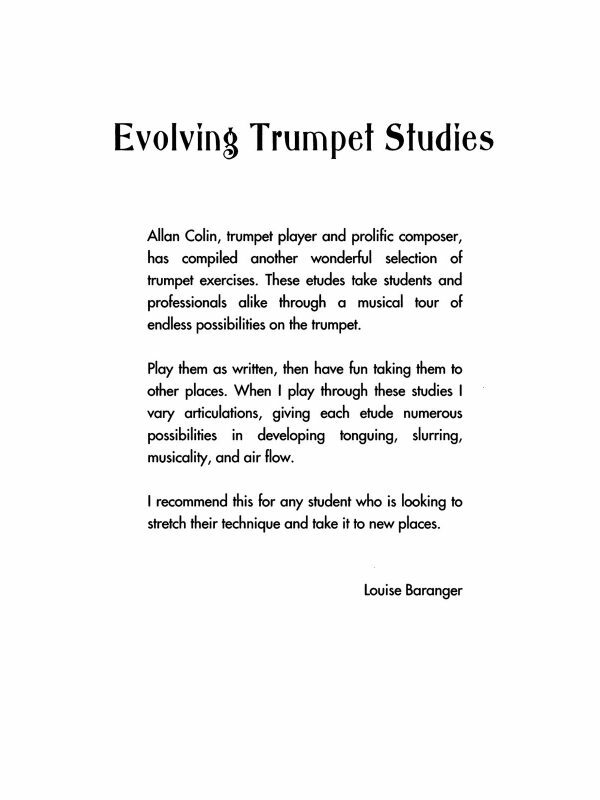 In the sample pages you will find an example from the very beginning of the book, the very middle, and the very end. 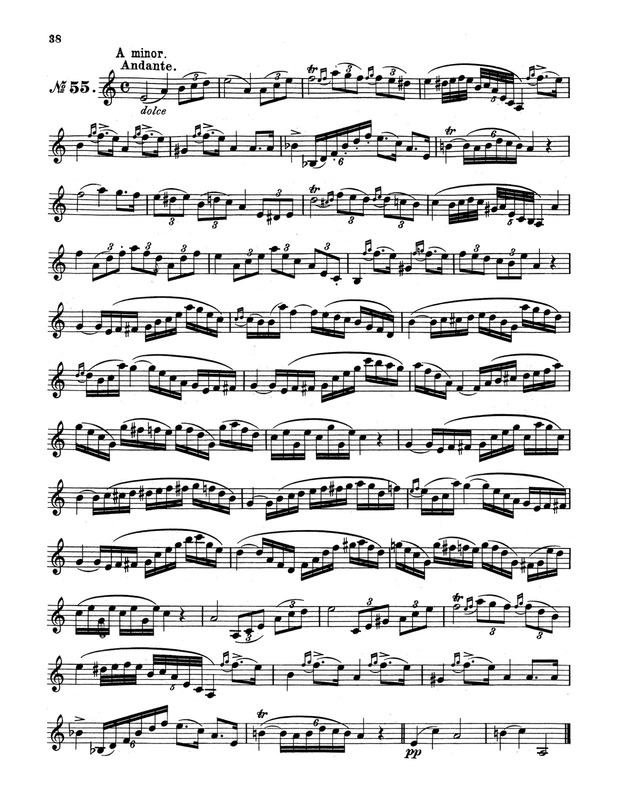 This will give you an idea of how the book progresses. 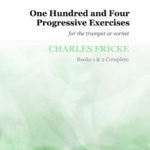 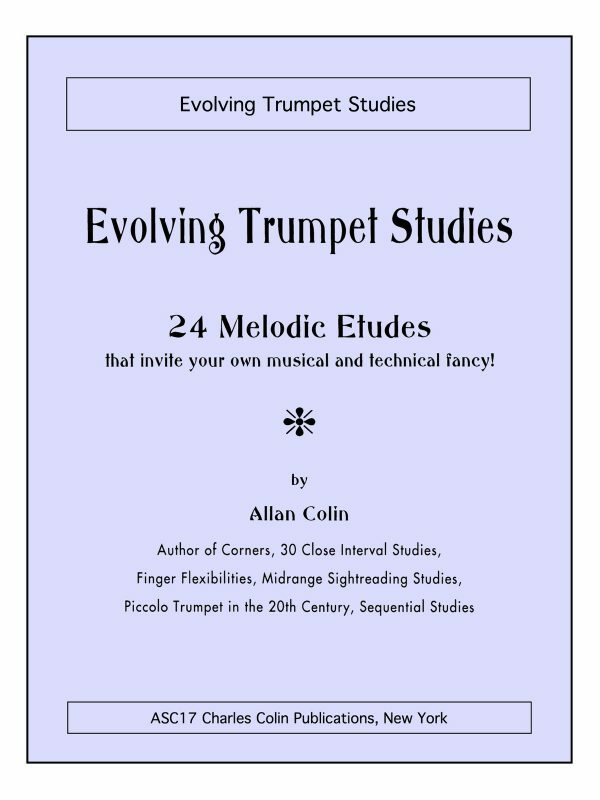 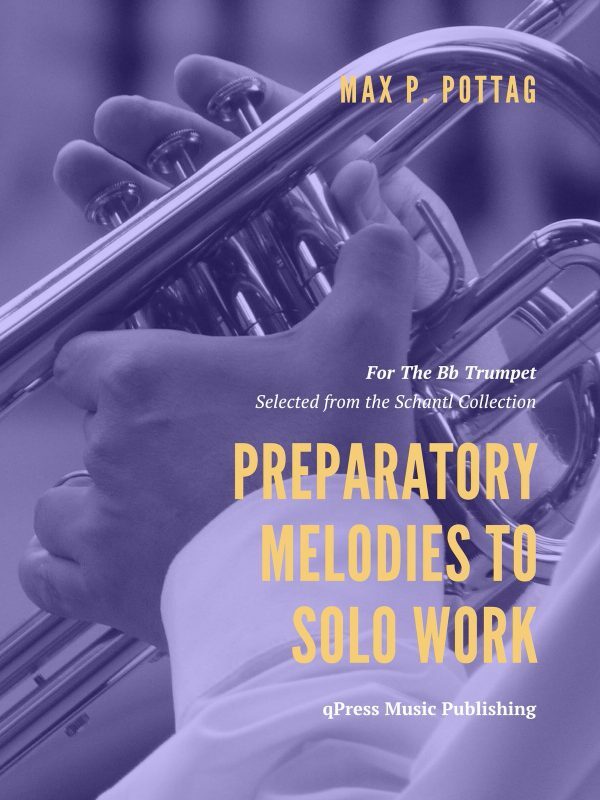 This book is an invaluable tool for studio work and private practice, as the etudes are wonderfully musical and idiomatic, and progress at a rate that will keep even the most eager player challenged and rewarded. 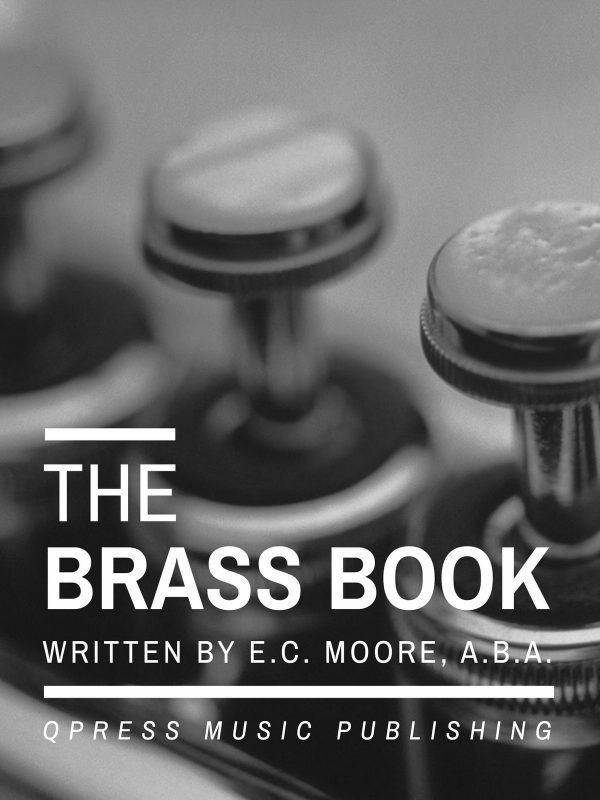 You may see this book floating around as a two part series. 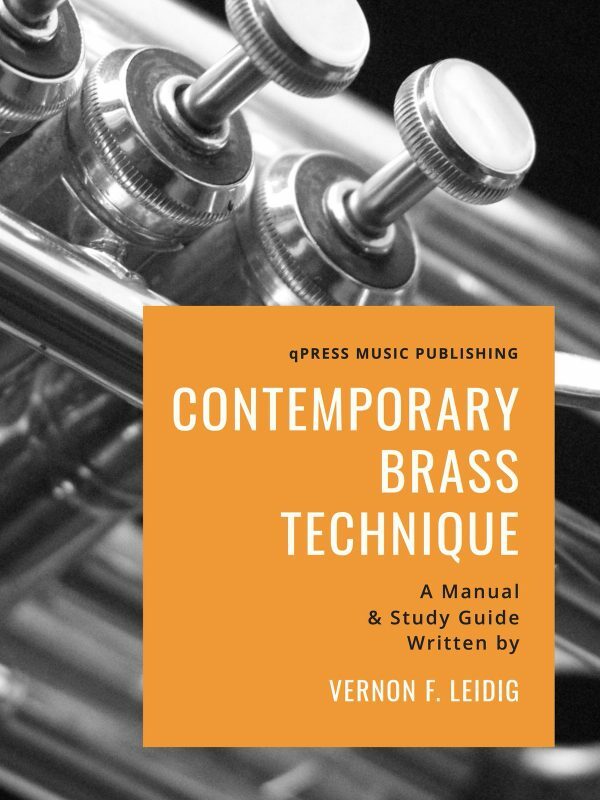 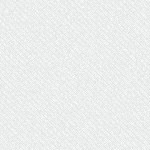 As a fan of qPress you know that our digital editions always combine multi-part books into single volumes to save you money and to increase convenience. 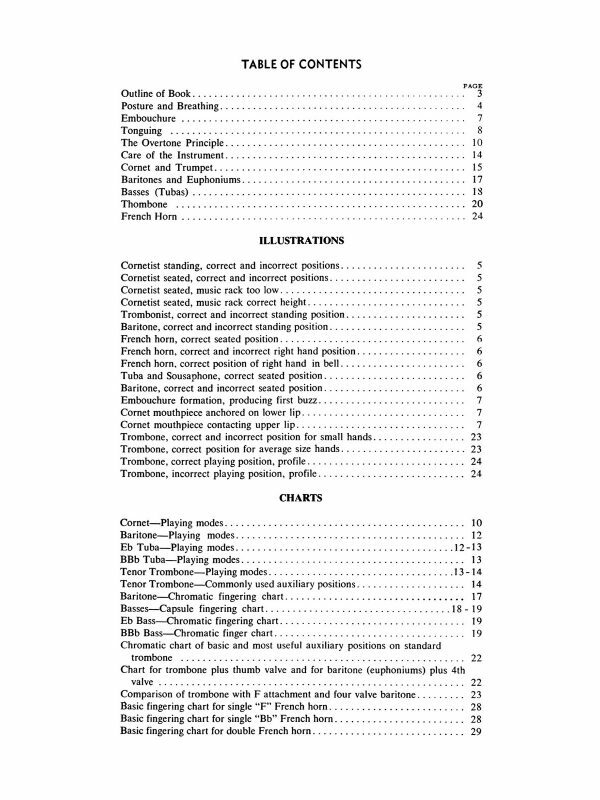 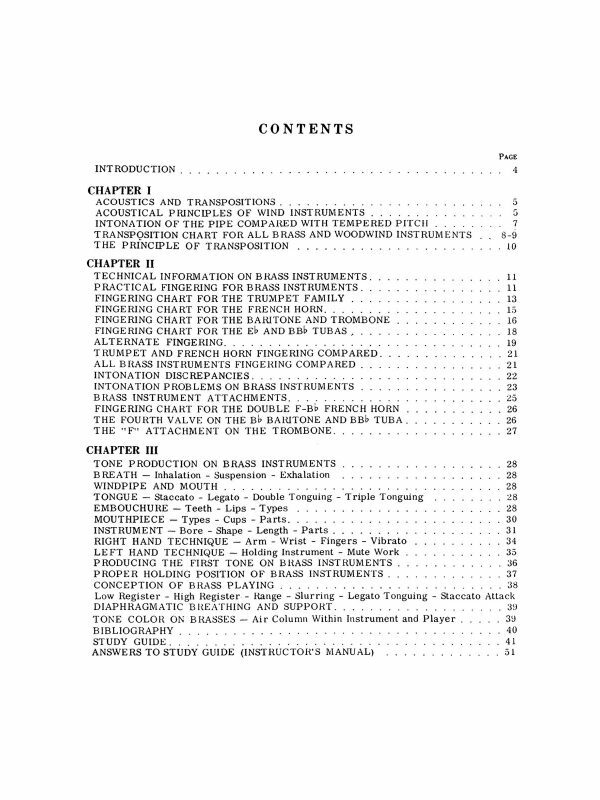 Go through a few free studies on the left, then grab an immediate PDF download above.